Your lips will be irresistibly kissable! Lip enhancements done with dermal filler is a very popular treatment. Thin lips can be made fuller. Imbalanced lips can be evened out. A lip enhancement can be ever so subtle, just enough to erase lips lines, or we can create a fuller lip! Our advanced injectors will shape your lips to your specifications. Dermal filler can also be used to replace lost volume anywhere in the face. We can even create volume where it never existed. Let us tell you more! As we age we tend to lose fat volume in our faces. Our cheeks, which were full and high when we were young can sink and develop a triangular-shaped flat spot that can appear shaded and grooved. Many of us lose volume in the orbits of our eyes that result in eye circles that may or may not be dark in appearance. We also lose volume in our lips and other areas of the face. This lost volume allows the face to fall and contributes to the appearance of lip lines and folds that appear at the sides and corners of the mouth. Even when we are young, lack of volume can make us look tired! Lost volume anywhere can easily be replaced with dermal fillers! This popular procedure can restore the contours and shape your face had when you were younger. Fillers can also be used to create volume where it has never existed. Our skilled injectors can place the correct consistency and amount of filler to precisely replace or create volume in the areas of the face that can benefit. Results are instant and natural in appearance! Administering cosmetic fillers is an art. Skinpossible’s doctor and nurse injectors have been trained to create optimum results with as little filler as possible. The key is to do enough, place it properly, and not overdo it. The changes will be subtle but the difference it makes will be dramatic. Our cosmetic injectors have also been trained in advanced treatment techniques to ensure that our clients are comfortable. Whenever possible, we use a micro-cannula to place the filler, commonly known as the ‘Ouchless Needle.’ The value of its rounded, blunt tip is that it is comfortable and the risk of bruising and damage to the skin is minimal. Skinpossible’s Chaparral Valley location is easy to get to from anywhere in the city via Macleod, Stoney and Deerfoot Trails. 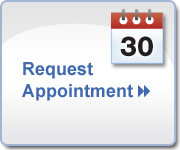 Monday through Saturday appointments are available. Parking is plentiful and free.